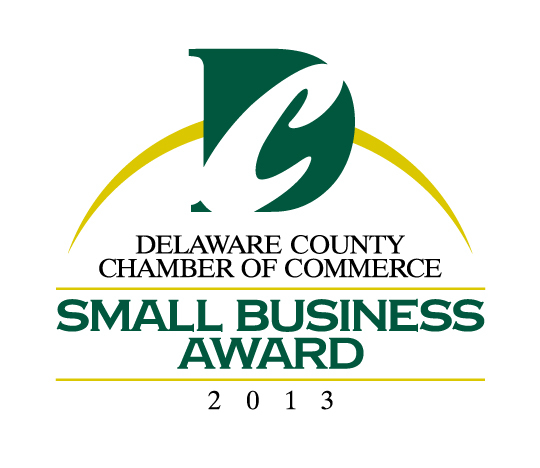 Expresspark Wins 2013 Delaware County Small Business of the Year Award! | Smart Park, Inc.
« Travel Expenses You May Not Be Expecting! 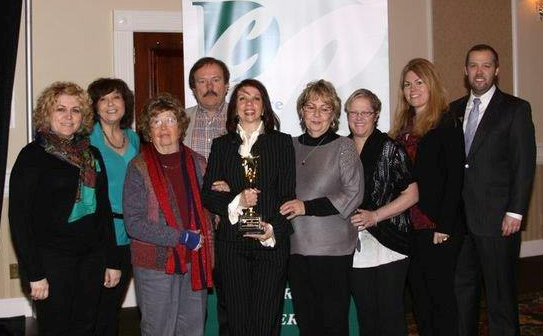 Expresspark Wins 2013 Delaware County Small Business of the Year Award! Your two favorite Philadelphia Airport Parking facilities, Expresspark Airport Parking and Smart Park Airport Parking were awarded the coveted 2013 Small Business of the Year Award by the Delco Chamber of Commerce on April 3, 2013. Your votes were heard and counted. The businesses were nominated by the Delco Chamber of Commerce, but actual voting took place on the Delco Chamber’s Facebook page in late March, where the votes were cast by fellow Delco Chamber members and the public at large. The Awards ceremony took place at a luncheon on April 3rd at the Drexelbrook Corporate Center. Ed Herr, son of the founder of the Herr’s Potato Chip Empire, who represents the penultimate American small business success story, was the keynote speaker at the awards luncheon. Stephanie Kozak-Allen, President and Founder of Expresspark Airport Parking, and Co-Founder and VP of Smart Park Airport Parking, was in attendance to receive the award along with her General Manager, RC Ewing, and a bevy of proud smiling employees of the respective businesses, family, and friends. Stephanie accepted the award on behalf of herself and Stephen Allen, President of Smart Park, and all of the employees of the two companies whose dedication to customer service excellence defines Expresspark and Smart Park in this industry. The business owners’ commitment to their employees, to the airport parking industry, and to the community at large is what differentiates Expresspark and Smart Park Airport Parking Companies from the rest. During the airline industry’s crisis after 9/11, the founders forfeited their salaries to prevent additional employee layoffs and to keep the businesses viable. The companies’ philosophies are to provide the very best customer service possible in the industry, and to provide it with “smiles” and the courtesy the traveler deserves! Expresspark and Smart Park Airport Parking companies are an integral part of the community, by providing hundreds of thousands of dollars of revenue generated from an airport parking tax to the local township, school board and the airport; approximately 190 jobs and through its membership in a multitude of professional associations, among them the National Parking Association, the Greater Phila. Chamber of Commerce, the Delco Chamber of Commerce, the Chester County Chamber of Commerce, the National Association of Professional Women, and the Better Business Bureau. They also actively participate in and contribute to various community fundraising events to benefit Widener University, Pennsylvania Association of Twp. Commissioners, Tinicum Twp. Fire Dept. and “Mommy’s Light,” to name just a few. Expresspark founded by Stephanie Kozak-Allen also has certification as a Woman Business Enterprise, and a Woman Owned Small Business. Stephanie is a member of Women Impacting Public Policy and Women in Parking. Expresspark is the first “Eco-Friendly” parking facility on the East Coast; using eco-friendly “Made in the USA” materials in its construction and dedicated to preserving and indeed improving the environment. Hats Off, Kudos, and Big High 5’s to Expresspark and Smart Park Airport Parking Facilities for being Delco Chamber of Commerce 2013 Small Businesses of the Year! Pictured left to right: Larissa Katko, Phyllis Tantaros, Helen Kozak, GM RC Ewing, President Stephanie Kozak-Allen, Barbara Dugan, Amy Skwirut, Dolly McAlee, and Delco Chamber President Alex Charlton.